You are not alone. CPAs need to worry about their clients, not about the IT situation in the office. IT outsourcing allows firms to do just that, not worry. Outsourcing your IT department can help with SaaS, utilities, and cloud outsourcing strategies. IT knowledge covers virtualization, cybersecurity, monitoring, backups, disaster recovery and more. One or two IT personnel in the back office are not going to have the skillset required to handle all the technologies needed to run an innovative CPA firm. This may be the first thing you are looking for in an outsourcing provider. TOSS has the experience to get your company to the next level. Developing a new IT strategy may be a crucial next move in growing your firm. When you upsize your firm you will need to know more than how many additional computers you should buy. What about servers? Is the one you have going to work, or will you need another one? What form of cloud architecture are you thinking about? Private, public, a hybrid? You will have a lot of questions and TOSS has all the answers. There are several companies out there creating tools to help monitor networks connected to the cloud. These monitoring tools help providers to track bandwidth discrepancies, emails that may contain viruses, memory and storage usage, and much more. Monitoring is a 24-hour service that never shuts down. When there is something wrong, intelligent alerts warn the technician of possible issues before they get out of hand. This can act as a sort of preventive measure. If hardware is going out, or bandwidth is not the right speed in certain areas of the network, then your provider can start to find the problem before it turns into a disaster. Data and files are what keep today’s companies moving. The more data companies accumulate the greater risk of losing that data. 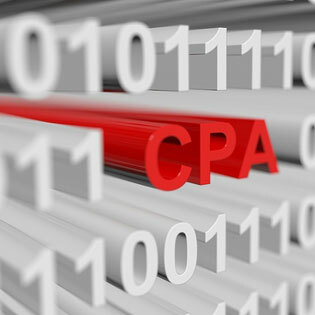 Data loss can create big problems for CPA firms. Data loss can cause liability suits, loss of clientele, and loss of reputation. It is important to have more than just backups storing the data. A backup plan should be integrated into a bigger disaster recovery plan. Fires can destroy all data in a building: computers, servers, and backup servers. Floods, earthquakes, and hurricanes can destroy data spread out in multiple locations within a city. The cloud stores your data in a different city, and sometimes in a different state. Multiple backups can be created and stored in different data centers, as well as in your office. Backup is only the first part of the disaster recovery plan. The second part is getting your data back into your office – or other – computers, so you can get back to work as soon as possible. Some CPA firms who have encountered natural disasters do not recover from it, and others have taken as much as two years to bounce back. A solid recovery plan could have you back to normal within days. IT outsourcing companies, like TOSS, implements some of the best people in the industry. Their expertise and knowledge of cloud computing and its relevance to CPA firms is unparalleled. Get a free assessment and see how TOSS C3 can help you today!